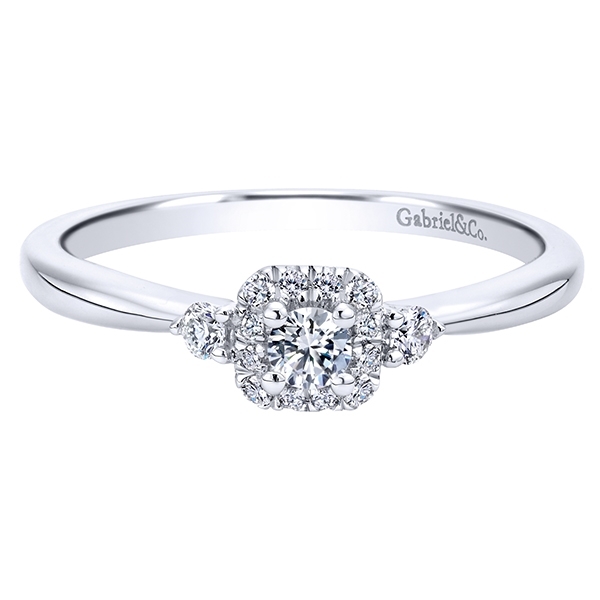 This simple and elegant petite round diamond halo engagement ring is sophisticated and sleek without being brash or loud. 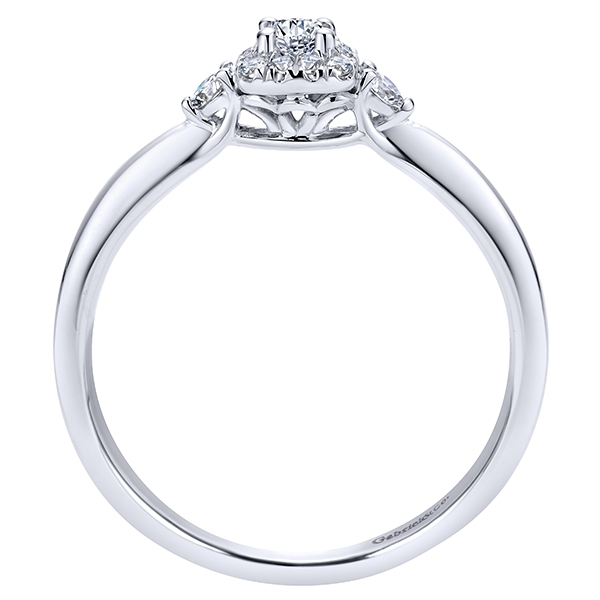 A sleek engagement ring sends a powerful message. 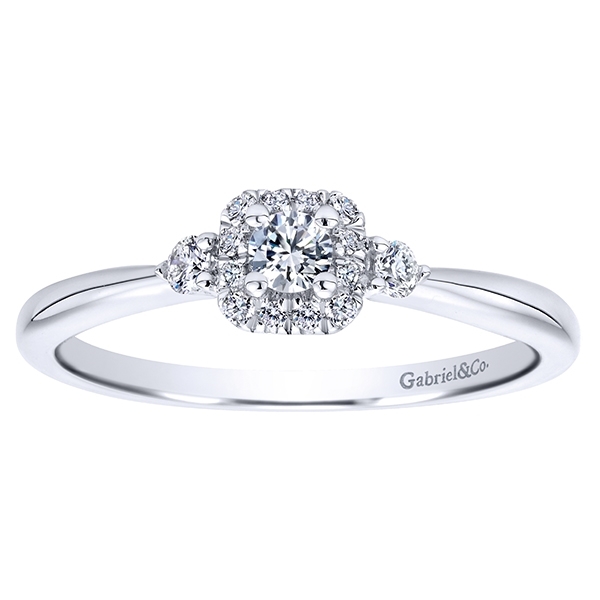 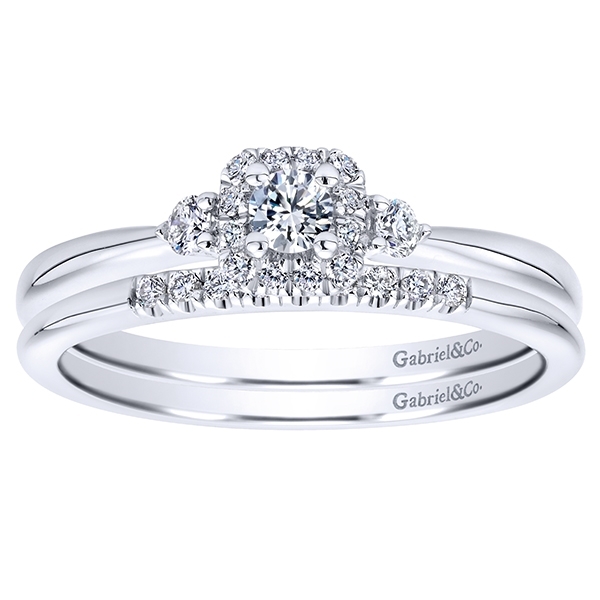 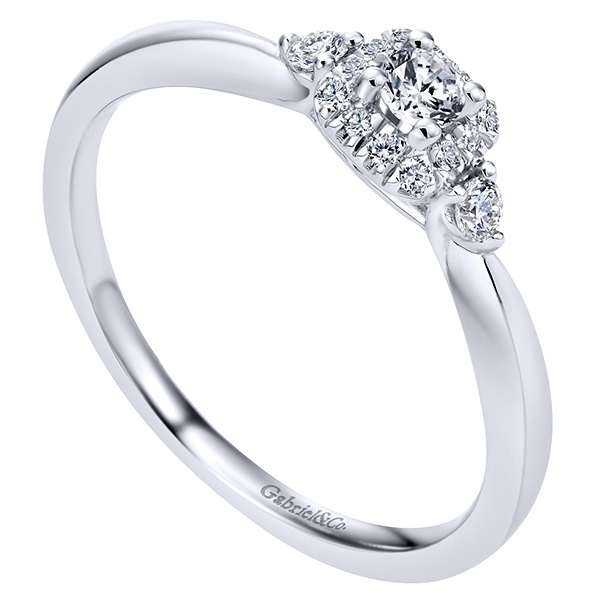 This petite diamond halo engagement ring features round brilliant diamonds totaling at 0.19 carats in diamonds. 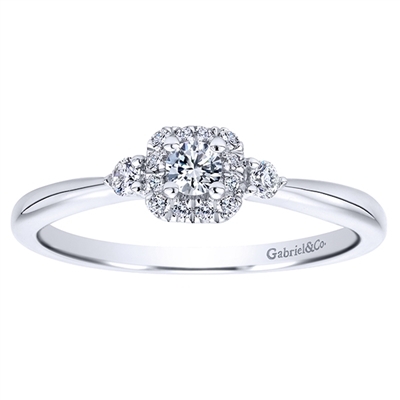 With a smaller round center diamond in the middle (0.10 carats) this is the perfect engagement ring to make a simple message.